An analysis by news website "The Arabist" about the state of the Egyptian economy, with Gallup Polls and Press Quotations of the past weeks. "LOS ANGELES -- Forty percent of Egyptians say they are "finding it very difficult" to get by, the highest percentage to say so since the overthrow of President Hosni Mubarak. Fewer than one in three Egyptians say they are getting by on their present income, down from 43% in late September and early October 2010. Despite these challenges, nearly all Egyptians (95%) say people can work hard and get ahead in their country. They are more likely to say this now than they were several years leading up to the revolution." "Things have progressed very fast in the same direction: uncertainty," said Hisham Tawfiq, a member of the board of Egypt's stock exchange. "It is clearer now than two weeks ago that the risk is huge." "If the Egyptian pound plunges, as some economists now expect to happen in the coming weeks, imports would become more expensive and push overall prices higher. That could prompt a dangerous backlash from the estimated 40% of Egyptians who earn less than $2 per day, said Michelle Dunne, a Middle East analyst at the Atlantic Council, a Washington-based think tank. Petroleum Minister Abdullah Ghorab said last week that some $15 billion in foreign investments had been suspended following the renewed unrest. On Thursday, ratings company Standard & Poor's downgraded Egypt's sovereign credit rating by one notch to B-plus." "Egypt’s benchmark dollar bonds slumped, sending the yield to the highest level since January, after concessions made by the country’s military rulers were rejected by protesters demanding a civilian government. The yield on the government’s 5.75 percent bonds due 2020 climbed 12 basis points, or 0.12 percentage point, to 6.99 percent at 12:04 p.m. in Cairo. The yield soared 73 basis points in the previous two days. The cost of protecting the nation’s debt against default for five years rose 17 basis points to 562 today, the highest level since March 2009. Twelve-month non-deliverable pound forwards, or contracts that provide guidance to expectations over a set period, weakened as much as 2.5 percent to 7.2 per dollar, the weakest level since February. The pound fell less than 0.1 percent to 5.9965 per dollar, the lowest level on a closing basis in almost seven years. Deputy Prime Minister Hazem El Beblawi had said in a Nov. 18 interview that Egypt may ask the IMF for the $3 billion loan it rejected earlier this year as domestic borrowing costs soar. 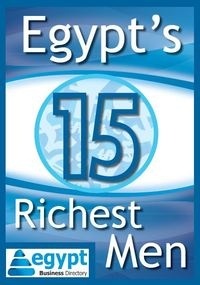 Egypt’s economy grew 1.8 percent in the fiscal year that ended on June 30, its weakest performance in at least a decade. The benchmark EGX 30 Index (EGX30) rose for the first time in 11 days, gaining 0.6 percent to 3,698.84. The measure’s 10 percent drop this week brought the slump for the year to 48 percent, making it the world’s third-worst performer after Cyprus and Greece. “We’ve seen 10 red sessions so buyers today are seeing some good opportunities despite the uncertainty about the elections,” said Teymour El-Derini, head of Middle East sales at Cairo-based Naeem Brokerage. “We expect further declines in the near term until there’s more visibility because nothing has changed on the ground.”"
Furthermore, Bloomberg also reports a staggering 80% cancellation rate of tourist bookings, citing financial daily al-Mal quoting a government source. "(Reuters) - Faced with economic threats on several fronts, Egypt's rulers look unlikely to come up with a coherent policy response as the country heads into a long and turbulent election period which may make tough decisions even more difficult. On Wednesday it was not even clear what government would manage the economy before the elections end; the ruling military council accepted the resignation of the civilian prime minister and his cabinet late on Tuesday, but gave no details of the "national salvation government" which some politicians said would be formed." "As we predicted could happen, the CBE, in its MPC meeting held November 24th, decided to raise the overnight deposit rate by 100 bps to 9.25% while raising the overnight lending rate and the 7-day repo by 50 bps to 10.25% and 9.75%, respectively. The discount rate was also raised by 100 bps to 9.5%. Last week, we pointed out that there is a chance that the CBE could opt to increase its policy rates, either during this meeting or the upcoming MPC meeting in 2012. Since the January 25th revolution, we have been witnessing increased pressures on local currency deposits, on account of an increase in withdrawals from banks and reluctance of people to deposit their money in bank accounts, in fear of the political instability, in addition to, of course, much slower economic growth. Now that the political situation is becoming highly unstable and the security situation is deteriorating, we expect pressures on local currency deposits to intensify, be it from dollarization pressures or increased currency withdrawals from banks, which increases the risk of a bank run. Therefore, the CBE raised benchmark interest rates to protect the local currency deposits, and to a certain extent, the EGP especially that the CBE is running out of international reserves to support the currency. Since economic growth performance is linked to the political situation, we believe the CBE sees that even with slightly tightening monetary policy, economic growth will not be harmed more than it is right now. In addition, credit to the private sector is low due to the lack of demand for credit on part of the private sector (as no investments are being injected in the economy, both new investments and expansions) and lack of bank appetite to lend to the private sector, as they prefer purchasing government debt and view lending to the private sector as more risky, given the current political instability. We expect the CBE to maintain its key policy rates unchanged in its upcoming meeting in 2012, which is scheduled for February 2nd, 2012."